(4 ea.) 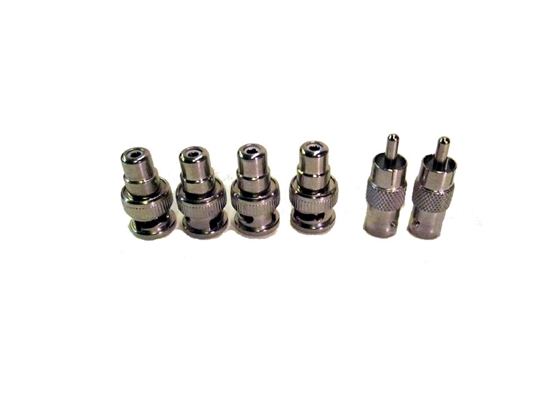 RCA-female-to-BNC-male adapters--Changes the BNC video In and Out connectors used on your HORITA unit to RCA In and Out. Also changes BNC time code In and Out connectors used on some video equipment to RCA In and Out. (2 ea.) RCA-male-to-BNC-female adapters--Changes BNC cable end to RCA plug. Allows BNC cable to be used to connect time code to RCA connector on HORITA unit.